While iPad-bearing soothsayers banish print books to dustbins, coauthors Schnapp and Battles, both insightful provocateurs from Harvard University, envision dynamic and fluid architectural spaces warehousing paper as well as pixels. In a spirit of refreshing experimentation, they ask: What flexible qualities from the past can accommodate tomorrow’s information consumers and, when combined, produce innovative configurations for a digital world? These structures incorporate basic components used in libraries across centuries, such as bookshelves, card catalogs, librarians, and reference desks. Building upon this framework, the authors imagine six plausible scenarios for serving tomorrow’s diverse information consumers, situating libraries as everything from study shelters to civic institutions functioning as mobile libraries, reading rooms promoting social change, and/or event-driven knowledge centers. 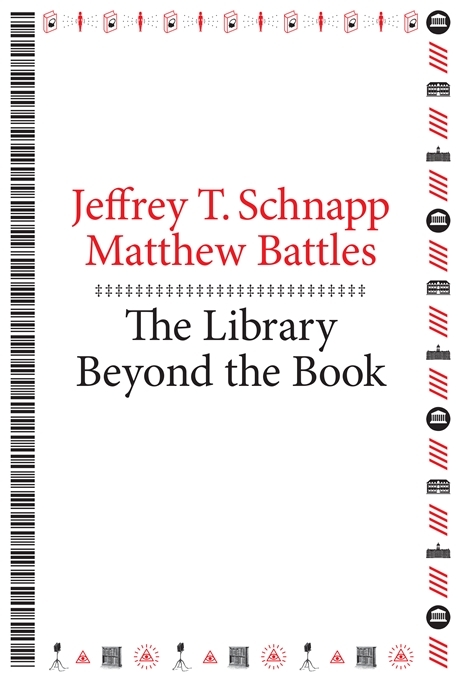 VERDICT Schnapp and Battles offer plausible configurations of both book and library in the age of the Internet of Everything. Their imaginative essays demonstrate the rigorous research and design thinking customary within university settings. The mainstream reading public may have difficulty conceptualizing aspects of their heady discussion, making the title best for a professional audience. The review is by Jerry P. Miller and was published in the June 15th issue of Library Journal.